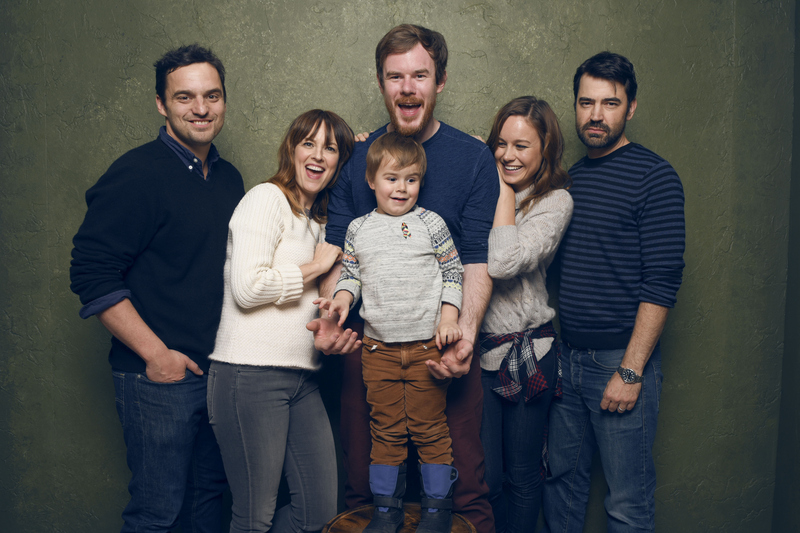 A Joe Swanberg movie is unlike any other kind of film. The director is notorious for allowing his actors to be collaborators on his films, and he'll often start shooting with little more than an outline. For actors who love to improvise and be part of the creative process, a Joe Swanberg set is heaven. Swanberg's latest picture, Digging For Fire , was co-written (or perhaps I should say co-outlined), by New Girl's Jake Johnson. The pair worked together previously on 2013's Drinking Buddies and instantly formed a collaborative kinship. Drinking Buddies, which oozes insane celebrity cameos at every turn, is about young married couple Tim (Johnson) and Lee (Rosemarie Dewitt) who go on separate adventures over the course of a weekend. When Tim finds a rusty gun in the yard of the house they're staying at, he becomes obsessed with the mystery of where it came from. Lee is uninterested, and would prefer for Tim to do the taxes he promised to do for so long, so she goes off in search of her own weekend in solitude. Tim and his friends seek to solve the mystery of the backyard, and Lee looks for answers to questions about love, marriage, and parenthood. A few of the many wonderful cameos in the film include (but are not limited to): Orlando Bloom, Brie Larson, Sam Rockwell, Anna Kendrick, Mike Birbiglia, Sam Elliot, Judith Light, Ron Livingston, Melanie Lynskey, Jenny Slate, Tim Simons, and Jane Adams.